Als je op zoek bent naar een absoluut klassieke fuzz face toon, dan is de BYOC E.S.V. Fuzz de oplossing. Do we really need to describe what the Fuzz Face does or tell you why you want one? Every guitarist, regardless of their playing style or preferred genre, needs one. With carbon comp resistors, those axial leaded Vishay electrolytic caps, and that big flat yellow film cap, the BYOC E.S.V. 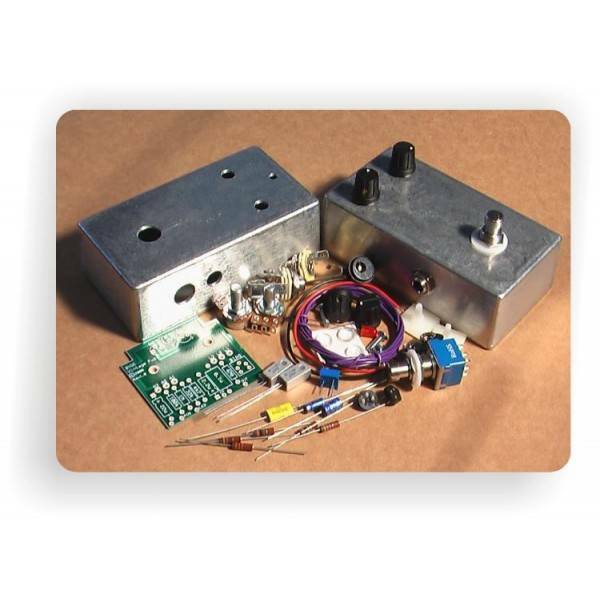 (Extra Special Vintage) Fuzz kit has as much vintage mojo as the original, but with the modern conveniences of an LED status light, DC adapter jack, adjustable bias, and true bypass. That's why we call it Extra Special Vintage. The BYOC E.S.V. Fuzz (Germanium Version) kit comes with a pair of hand selected NOS AC128 Germanium transistors.